It was not long, however, until men departed from God’s original plan. Polygamy began to be practised (Genesis 4:19). When the Law of Moses was given to Israel, the people had become so hard-hearted that God permitted divorce, but only under certain conditions (Deuteronomy 24:1-4). Even then, God was not pleased with divorce. He said: “For the Lord God of Israel says that He hates divorce” (Malachi 2:14-16). 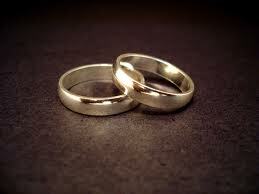 When Jesus came into the world and gave His law for all mankind, He did not give a new and different law of marriage. Instead He called mankind back to God’s original plan (Matthew 19:3-12). His commandment, “Therefore what God has joined together, let not man separate” is still God’s will for us today! The Lord allowed only one cause for divorce. This cause is fornication on the part of one’s marriage partner. Fornication on the part of a marriage partner gives the innocent partner the right to divorce and remarry. But no such privilege is given to the guilty partner! To divorce and remarry for other than the one Scriptural cause is to commit adultery. To marry one who has been divorced who was not the innocent party is to commit adultery. “And I say unto you, Whosoever shall put away his wife, except it be for fornication, and shall marry another, committeth adultery: and whoso marrieth her which is put away doth commit adultery.” (Matthew 19:9). Also read Matthew 5:31,32. Adulterers will not go to Heaven. They will spend eternity in Hell (1 Corinthians 6:9,10; Hebrews 13:4; Revelation 21:8). Those who are living in adultery must repent, stop committing adultery, and seek the Lord’s forgiveness if they want to be saved. The home is the basic unit of society. It is the function of the home to provide companionship, the satisfaction of basic human needs and the rearing and training of children. The community, the church, and the nation can only be strong when the home is strong. Many evil forces are seeking to destroy the home today. Among these evil forces are easy divorce laws, fornication, false views of woman’s role in society, but most of all, ignorance of, and a failure to obey God’s law of marriage which is given in the Bible. Let us teach our children God’s will on marriage, divorce and remarriage. We must set an example for our children and for the world by following God’s plan for marriage! Categories: Christian Living, Marriage | Tags: Adultery, Divorce, Fornication, Marriage | Permalink.